Hot News! IC-7850/7851 Firmware Update V1.31 is now on the Icom Japan World site. Click link below. 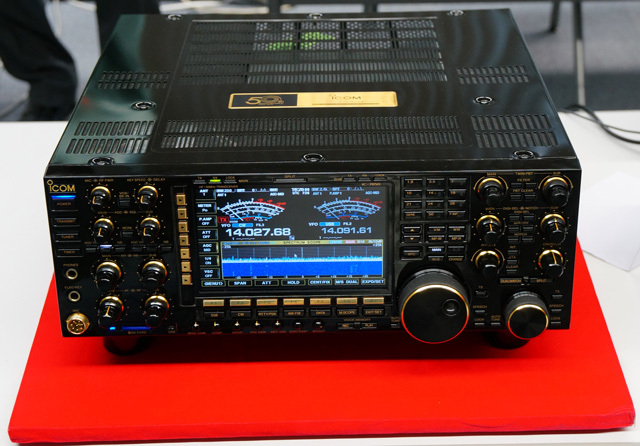 The IC-7850 at Icom Inc. HQ, Osaka. Photo: VR2XMC. 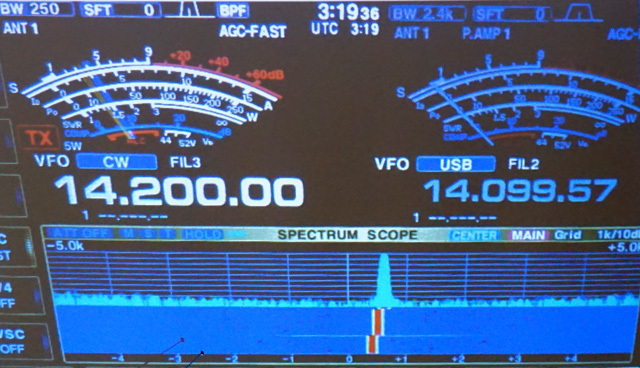 On 14 November 2014, Icom Inc. hosted a presentation on the new IC-7850 for attendees at APDXC 2014 (Asia-Pacific DX Convention, 2014). We were also treated to a hands-on preview of two IC-7850's which were set up in the conference room. Icom engineering managers and staff were in attendance to address questions posed by the audience. The following is a summary of the PowerPoint presentation material. For the first time, we can present some technical insights and performance figures for Icom's new flagship transceiver. 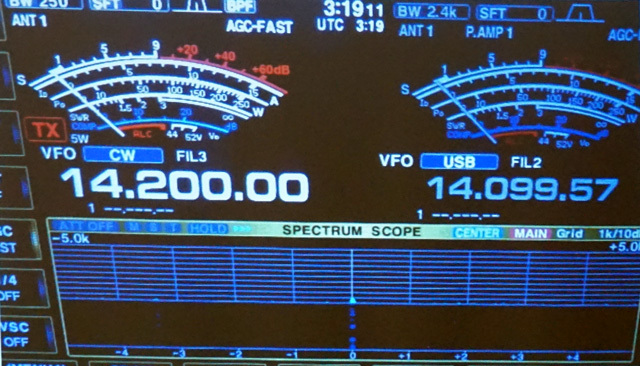 The IC-7850 and IC-7851 received FCC and IC certification on 15 January 2015. FCC ID: AFJ361500, IC: 202D-361500. Firmware Ver. 1.10, released 17.07.2015, now includes the VFO Tracking feature, which allows the operator to tune the Main and Sub VFO's synchronously by rotating the MAIN tuning knob. This feature facilitates diversity operation. The Ver. 1.10 Manual Supplement describes the features added by this update. 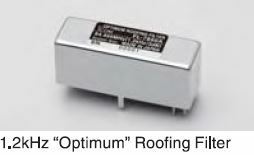 Effectiveness of Optimum Roofing Filter (64 MHz, Bandwidth = 1.2 kHz). FFT spectrum scope is much faster, much wider and has higher sensitivity (and much narrower minimum RBW). 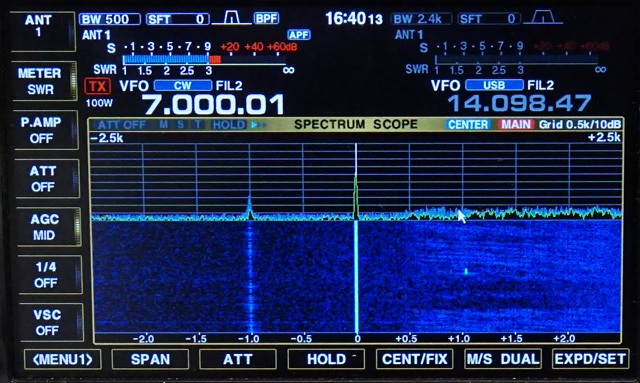 You listen to a signal from a CW station. The signal is weak (no indication on S-meter). A local station starts calling CQ on the same frequency. His signal is very strong; S9 + 60 dB. You ask the station to QSY; how far should you ask him to move? Weak signal at 14200 kHz. Strong signal co-channel with weak signal. Strong signal offset from weak signal. Noise sidebands do not degrade weak signal. Phase noise curves of IC-7850 and competitors. 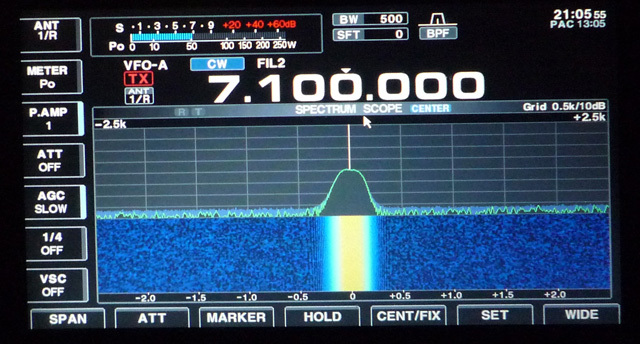 FL-483 and FL-484: Bandwidth = 1.2 kHz at 64 MHz. This filter has been optimized for low passive IMD. IC-7850 calibration marker, 2.5 kHz span, slow sweep. Photo: VA7OJ. 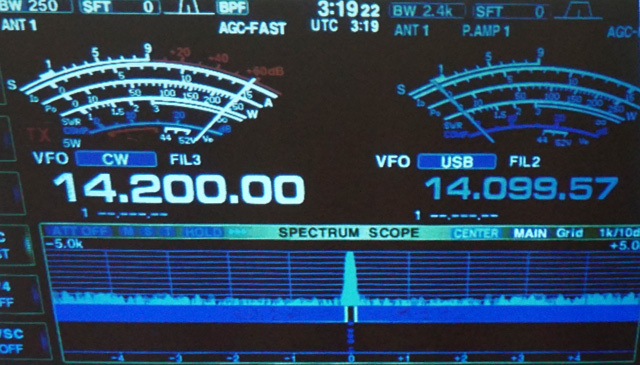 IC-7700 calibration marker, 2.5 kHz span, slow sweep. Photo: VA7OJ. Dedicated, private CI-V port for IC-PW1 (by unlinking REMOTE and USB/LAN CI-V ports and assigning separate CI-V addresses) - no more IC-PW1 data collisions! IC-7850/IC-7851 Technical Reference Book now available from Icom Inc.
All data and images courtesy and copyright © 2014-2018 Icom Inc. (except where noted). Editing & page creation: A. Farson VA7OJ/AB4OJ.